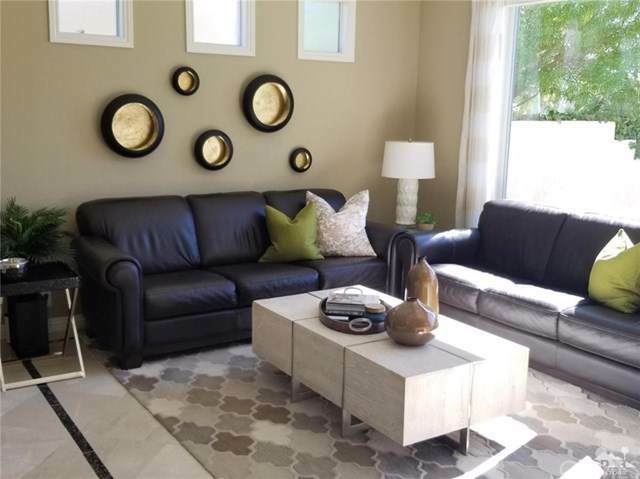 67401 Laguna Drive, Cathedral City, CA 92234 (#219008789DA) :: Ardent Real Estate Group, Inc. 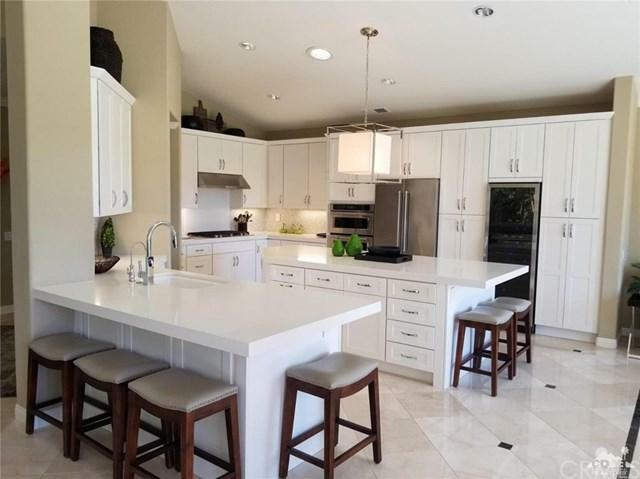 Stunning completely remodeled (2016-17) entertainer's dream home. Prepare to be impressed! 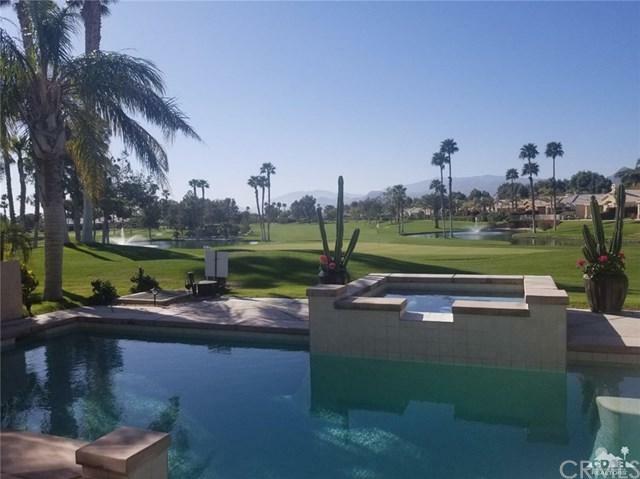 A magnificent south facing view of the Cielo 6 green, fairway, 2 ponds with fountains AND mountains. Beautiful re-tiled salt water pool and spa with new heater and pump. 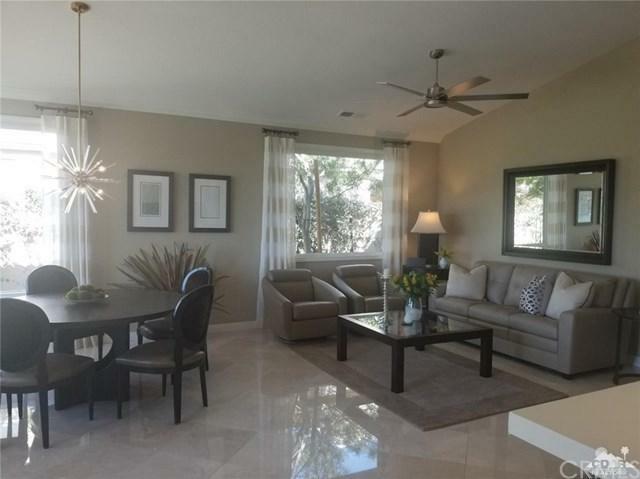 Every inch of this home has been upgraded with the finest finishes and designer elegance. Bonus office area in 2nd bedroom and 3rd den/office/bedroom allow for extra guests. Sleek modern white kitchen with wine fridge and beautiful bathrooms are just a few of the things that make this home spectacular. Water softener system already installed and paid for, epoxy flooring in garage with cabinets and large workbench. Desert landscaping in front and back of home add to charm. Just imagine yourself enjoying this pool and patio, with this view, all while enjoying this beautiful home! Make it yours today! Land Lease expires 2069.